Online giant LegalZoom – said to be the best-known legal brand in America – has soft-launched its UK service with the aim of giving consumers and small businesses “a smarter way to engage with a lawyer”, Legal Futures can reveal. LegalZoom has been working with QualitySolicitors for over a year to develop the service, and the beta version of its UK site links users with Black Country law firm QualitySolicitors Talbots. It expects to expand and roll out the service, with digital marketing and the involvement of more QS firms, early next year. 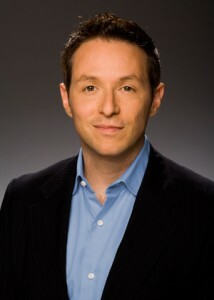 Chief strategy officer Eddie Hartman told Legal Futures that “at the right time we will strike much more broadly” with marketing, using advertising and other techniques which have achieved a 70% recognition rate for the brand among US consumers. “The UK is an opportunity to reinvent what we mean for a new customer, not just slap a British flag on a clone of our US website as others have. As always, our approach is to get it right, then expand aggressively,” he explained. LegalZoom is not looking to offer a plain document creation service, although consumers can use it in that way. It sells legal plans starting at £9.99 a month for consumers and £19.99 a month for businesses, which provides discounts on online legal documents along with their review and completion by a lawyer, as well as free initial advice on other legal matters. “We’re selling engagement with lawyers,” Mr Hartman said. Meanwhile, LegalZoom’s rival, Rocket Lawyer, has completed its first year of trading in the UK and created 200,000 documents in that time, which UK head Mark Edwards said was in line with expectations. He said one in every 10 people who land on the site end up registering and becoming a customer, and of those, 20% go on to seek further advice from one of Rocket Lawyer’s 20 panel law firms – some taking advantage of free document review and others becoming paying clients. Tenancy agreements, employment contracts and business plans are among the most popular documents to date. “We’re still very much a start-up, but we’re going to start expanding next year now we’ve proved it… I would hope to be in the millions of visitors and documents next year,” Mr Edwards said. Rocket Lawyer, which employs 200 people in the US, has 12 in London. The next stage is to add general legal advice to document-based services as it integrates LawPivot, the innovative US website that crowdsources advice to legal questions for free, which was acquired by Rocket Lawyer a year ago. LawPivot provides answers to any legal question submitted online from a network of lawyers. 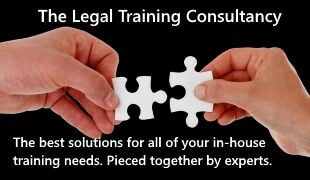 Customers receive a response from lawyers in the right jurisdiction and with the right expertise within 24 hours. They can continue corresponding with the lawyers to clarify the answer and receive more information. The UK version is now in its test phase, with Sheffield firm Simpson Sissons & Brooke providing the legal advice. The service is also available via mobile phones, and next year an app is likely. Mr Edwards said they would also be pushing the adoption of e-signatures to eliminate parties having to print out, sign and return agreements. In the US, LegalZoom is suing Rocket Lawyer over claims in its marketing that various services are free. A bid by LegalZoom for summary judgment was refused last month.